St Brigids Annual Golf Classic takes place this coming Friday 26 May 2017 in Royal Tara Golf Club. There are two Shot Gun Starts; 10.15am & 3.15pm and the cost is €100 per player or €400 per team. For teams and Tee Box sponsors contact Paddy on 0868229312. 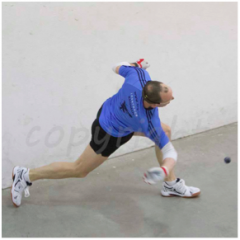 Well done to Eoin Kennedy on reaching the All-Ireland Singles final, which will be held the weekend of the 3rd June. Carl Browne and Eoin Kennedy have also reached the Senior Doubles final. Defending their title next Saturday Browne will be going for his second doubles title while Kennedy will be going for a remarkable seventh hardball doubles championship. Senior Ladies Footballers are at home on Wednesday v Foxrock Cabinteely at 7.30 in Championship action. Come down and support the ladies. Nursery takes place each Saturday from 9.30 to 11.00 am, all 4 to 7 year olds are welcome. We are seeking a Nursery Director. St Brigid’s need a leader for our Nursery session. Please contact Paddy Davey 086 822 9312 if you can help out. Our coffee shop has great home baking and hot snacks available and is now open weeknights! Register online now for Annual Club Minileagues (start on 12th of June with Finals on May 17th). Spread the word to friends and neighbours! Next week’s Lotto Draw is in the Roselawn Inn on the 25th, Jackpot is €15,000 with reserve €2,600. Final few Gaeltacht scholarships remain for July and August courses only! For more info contact Stephen on 0876339238.